What Are the Long-term Risks of Cocaine Use? Cocaine processing involves many chemicals, and the drug is cut with other substances by dealers to extend batches. Some of these substances, such as fentanyl, are extremely dangerous. The leaves are soaked, filtered, and dried. The powder gets mixed with solvents. It then gets pressed and heated. Which Country Grows the Most Coca Plants? Colombia is the largest grower of the coca bush. Are There Uses for the Coca Plant Other Than Producing Cocaine? What Adulterants Are Used in Cocaine, and What Are Their Effects? Caffeine, which can create similar but weaker effects to cocaine. Lidocaine, which is prescribed to treat heart arrhythmias. When mixed with cocaine, the drug enhances cocaine’s numbing effects, but it can lead to heart problems and overdose, and it increases the toxicity of cocaine. Procaine, which is a local anesthetic that has similar effects to cocaine. It can cause nausea, vomiting, tremors, and dizziness. Levamisole, which is an animal dewormer that was originally used to treat a similar condition in humans and may be used by dealers to give the cocaine a more intense high. However, it can lead to fever and blood disorders and is highly toxic. Mannitol, which is a prescription diuretic that can also be used to diagnose asthma and help treat glaucoma. It is mainly used to add bulk and has little risk of health effects beyond nasal irritation. 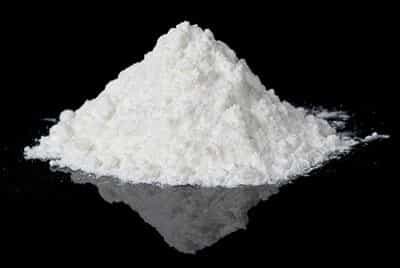 It is virtually impossible for a recreational user to tell the difference between cocaine cut with other ingredients and pure cocaine. Even experienced buyers may not be able to tell the difference. Treatment can help people with cocaine addictions avoid health effects and possible overdose. Counselors and treatment providers can help users work through their reasons for using cocaine and find ways to manage their triggers and cravings. With that work, people might be able to leave cocaine behind for good. Treatment can be a remarkable relief for people who have struggled with addictions for months or years. University of Arizona MethOIDE. Cocaine: Origin and History. Mosher, D. (2012). Secrets of Natural Cocaine Production Revealed. National Geographic. Drug Enforcement Administration Museum & Visitors Center. Cannabis, Coca, & Poppy: Nature’s Addictive Plants. NYC Health. (2017). Health Department Warns New Yorkers About Cocaine Laced With Fentanyl; Occasional Users At High Risk Of Overdose. United Nations Office on Drugs and Crime. (2018). World Drug Report 2018. Drug Enforcement Administration. (2017). 2017 National Drug Threat Assessment. Biondich, A. and Joslin, J. (2016). Coca: The History and Medical Significance of an Ancient Andean Tradition. Emergency Medicine International. Fox News. 10 secrets of Coca-Cola. Cole, C., Jones, L., McVeigh, J., Kicman, A., Syed, Q., and Bellis, M. (2012). Cut: A Guide to Adulterants, Bulking Agents and Other Contaminants Found in Illicit Drugs. Liverpool John Moores University Public Health Institute.